There's no recipe for love - Looking for a feel-good movie to watch this coming December? 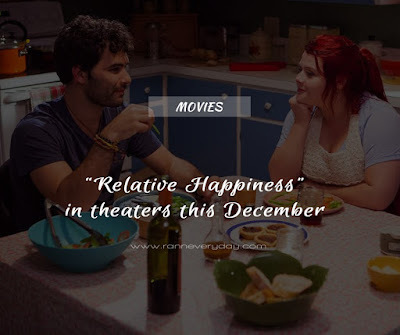 Relative Happiness is another movie to look forward this December 9, 2015 from Solar Pictures. A must-watch movie especially for women. Directed by Deanne Foley, 'Relative Happiness' is a Romance/Comedy/Drama movie starring Melissa Bergland, Aaron Poole and Johnathan Sousa. With a screenplay written by Lesley Crewe, Deanne Foley, Iain Macleod and Sherry White. 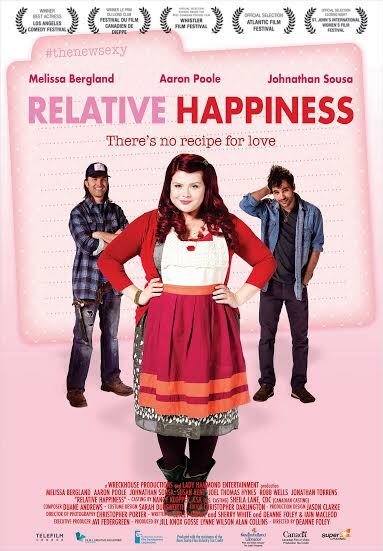 Relative Happiness is a romantic comedy, every bit as feisty as Lexie herself, starring Australian actress, Melissa Bergland, in a breakout role, based on the best-selling novel by Lesley Crewe. Catch this awesome movie in theaters this December 2015, brought to you by Solar Pictures.